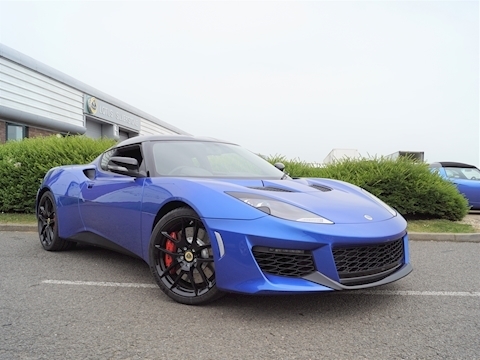 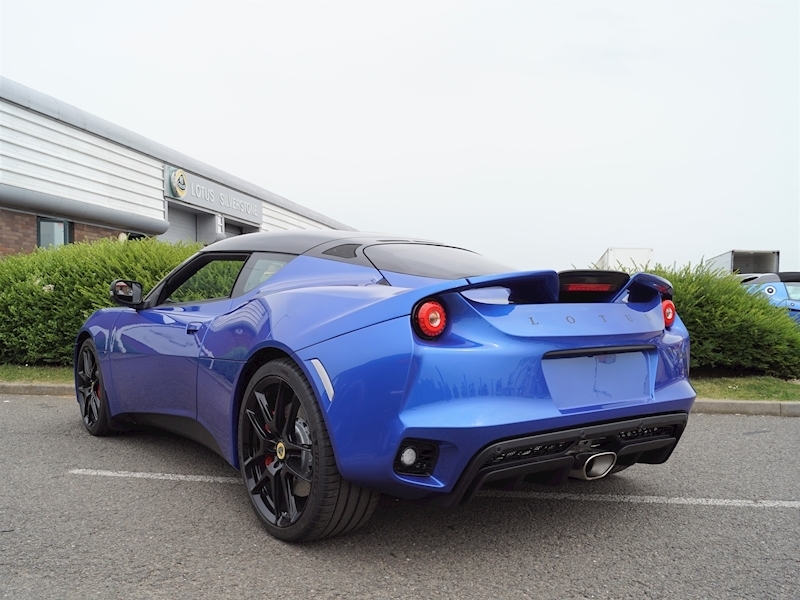 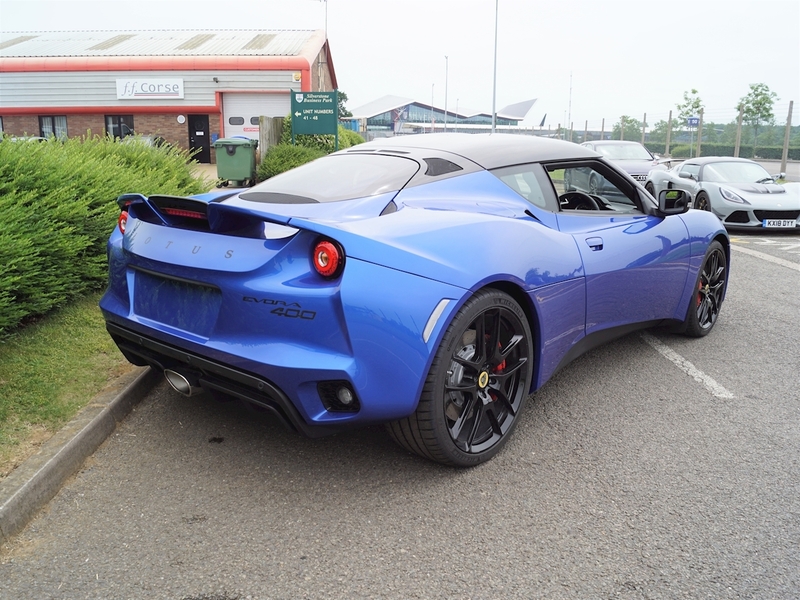 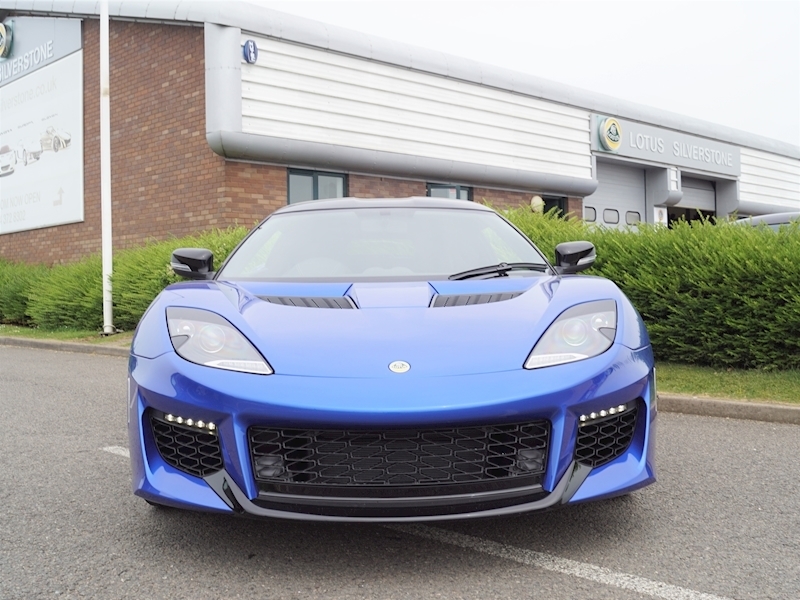 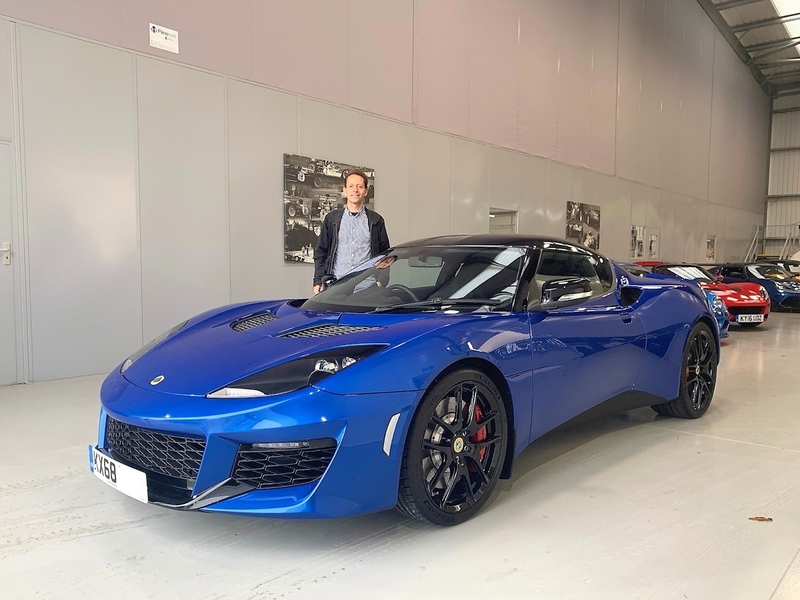 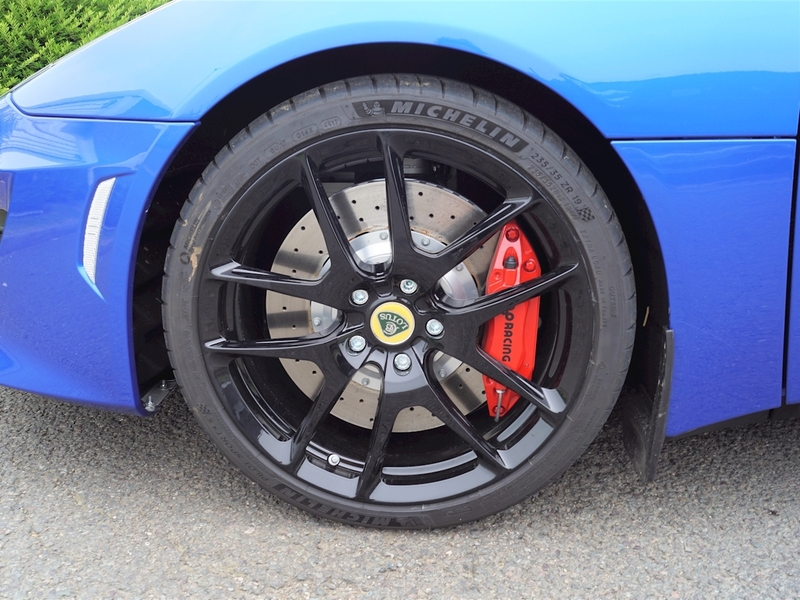 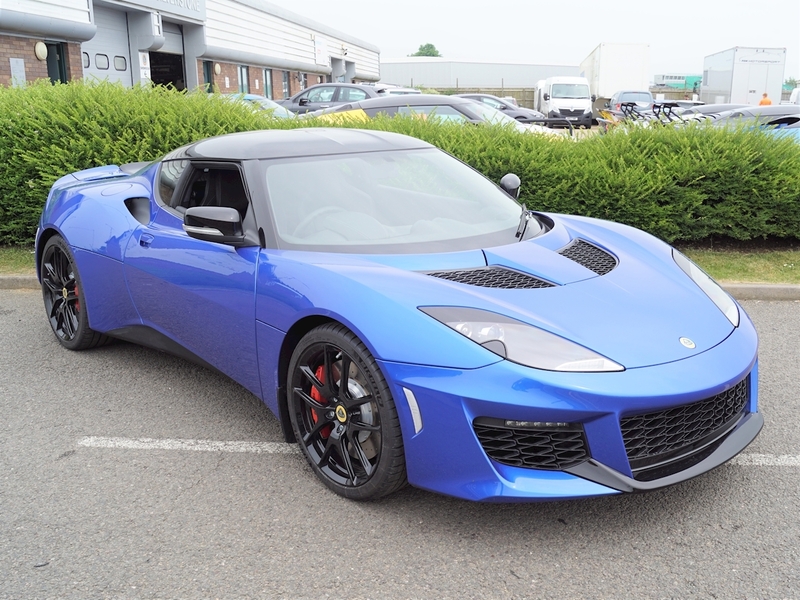 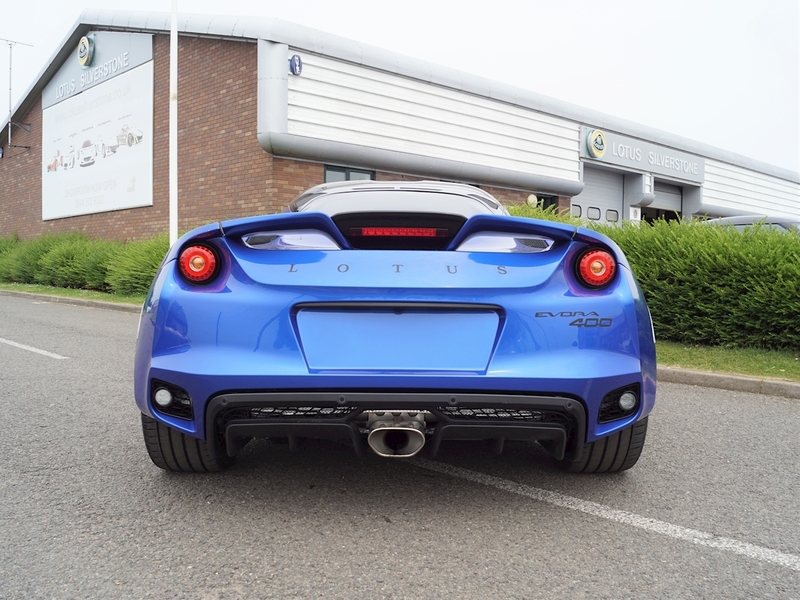 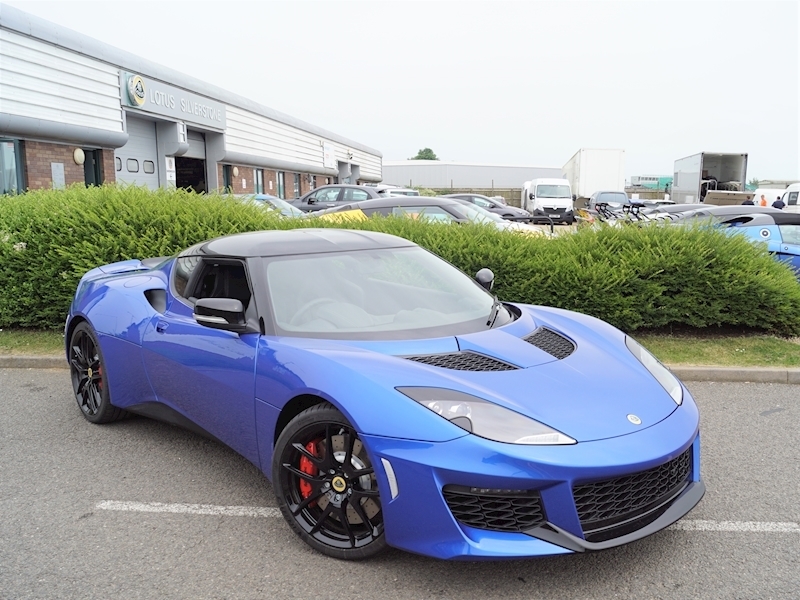 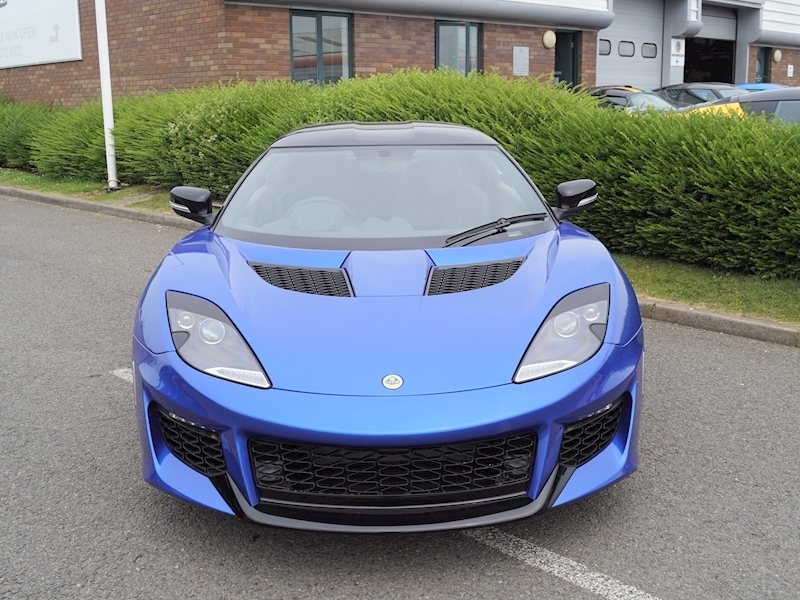 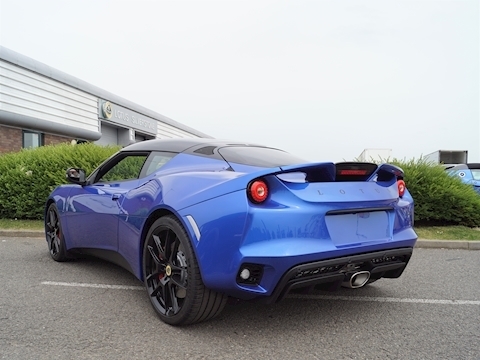 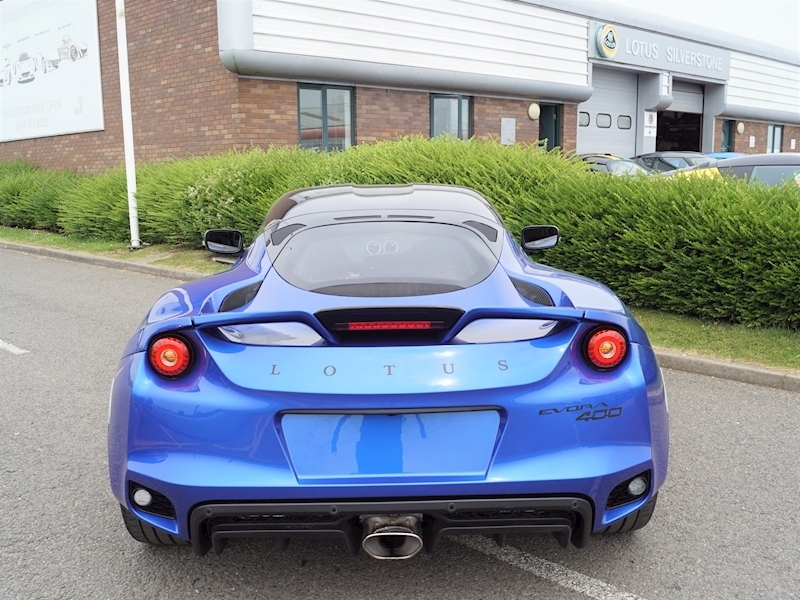 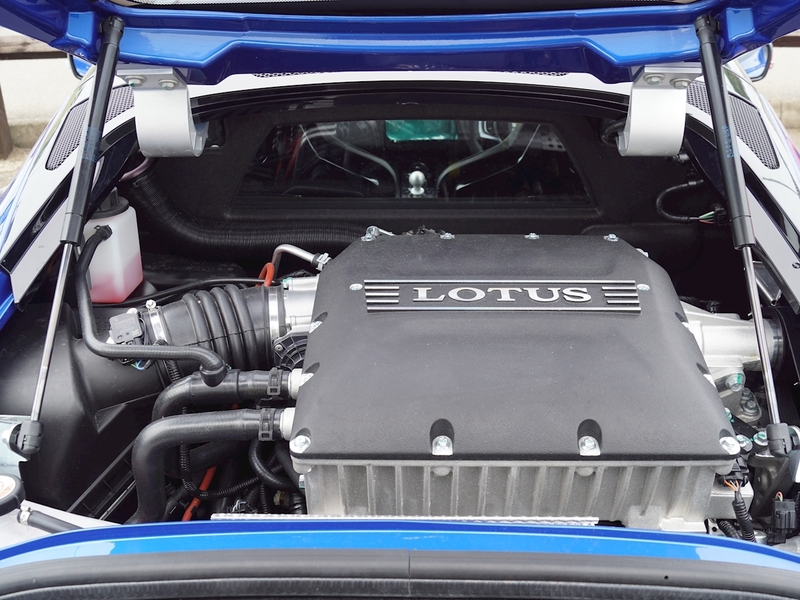 Lotus Evora 400 finished in Metallic Blue with Black Pack – Phantom Gloss Black Roof, Sills and Front Splitter. 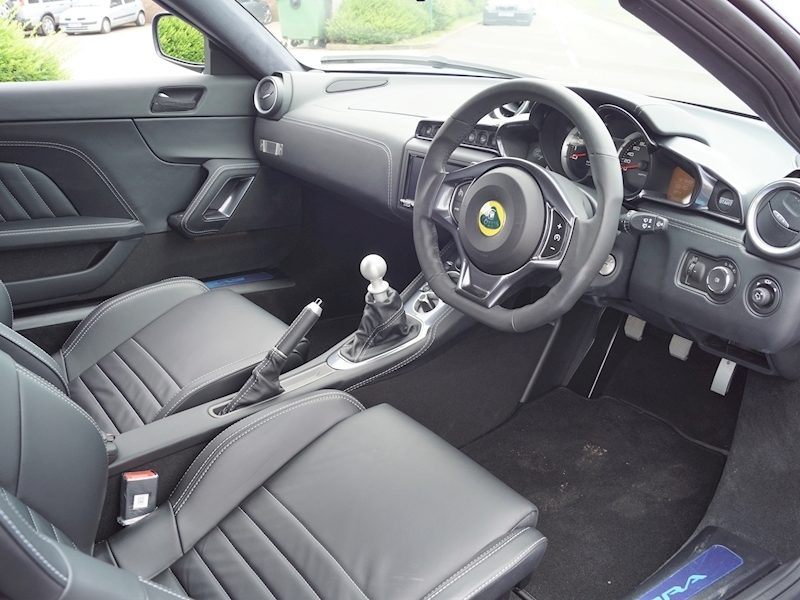 Black Leather Trim Upgrade with Contrast Silver Stitching throughout Interior Including Door Cards, Upper Centre Console, Fascia and Binnacle Top, Leather Trimmed Sparco Lightweight Seats, Leather Gear Lever and Handbrake Gaiter, Steering Wheel Trimmed in Black Leather with Silver Stitching with Red Alcantara Position Stripe. 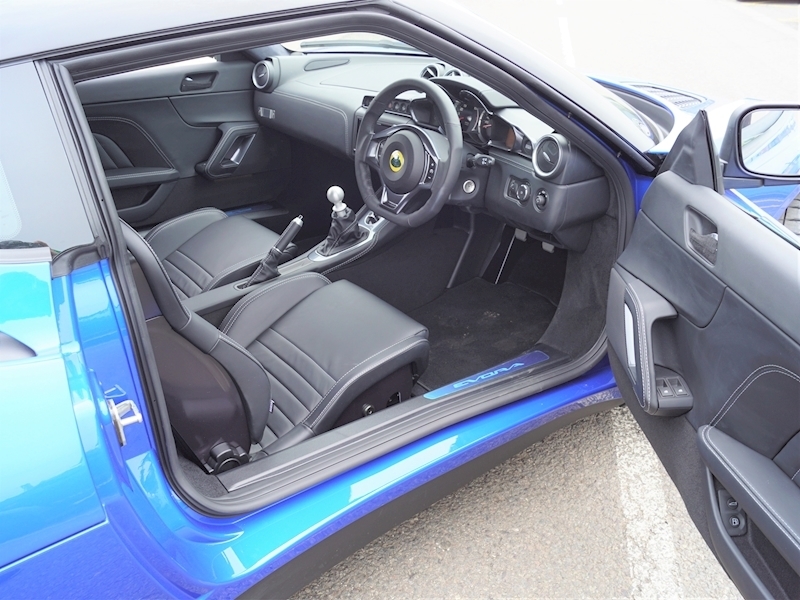 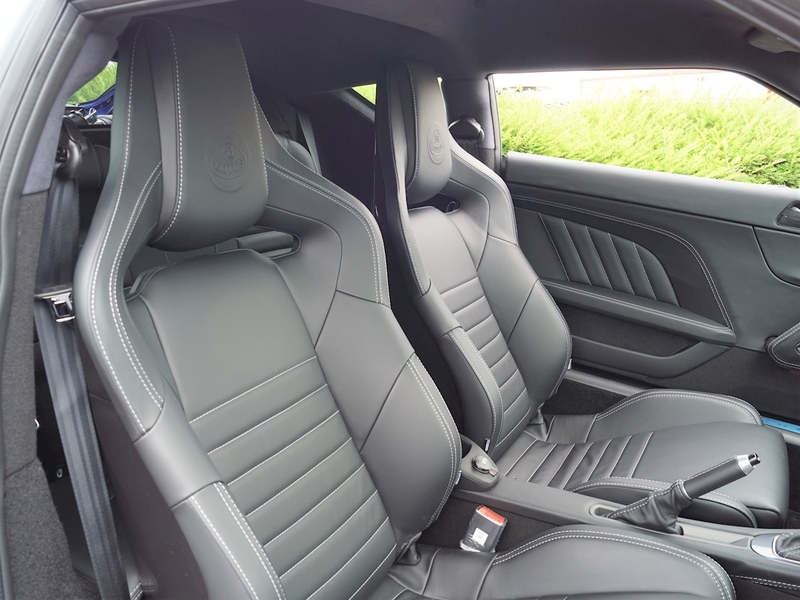 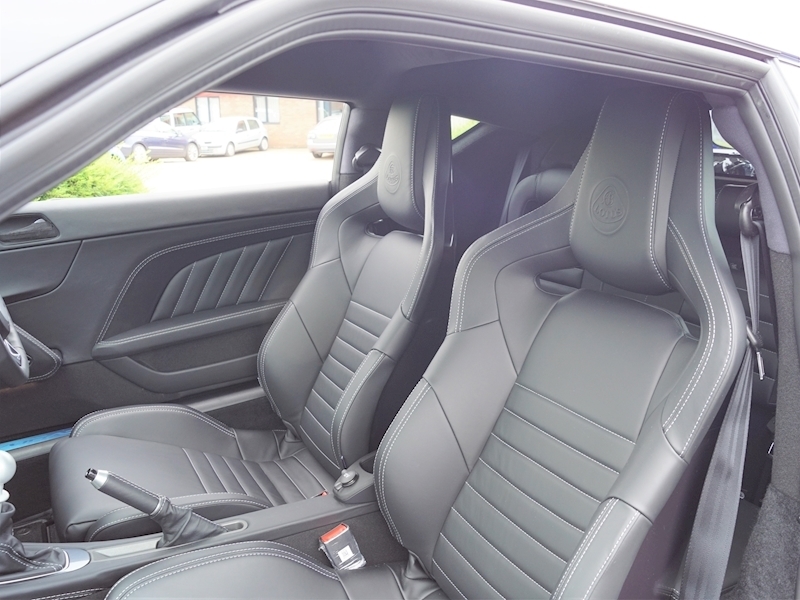 Lightweight Low Inertia Fly Wheel, Drive, Sport and Race Modes, Two Piece High Performance Brake Discs, Heated and Powerfold Door Mirrors, Heated Driver and Passenger Sparco Seats, Air Conditioning. 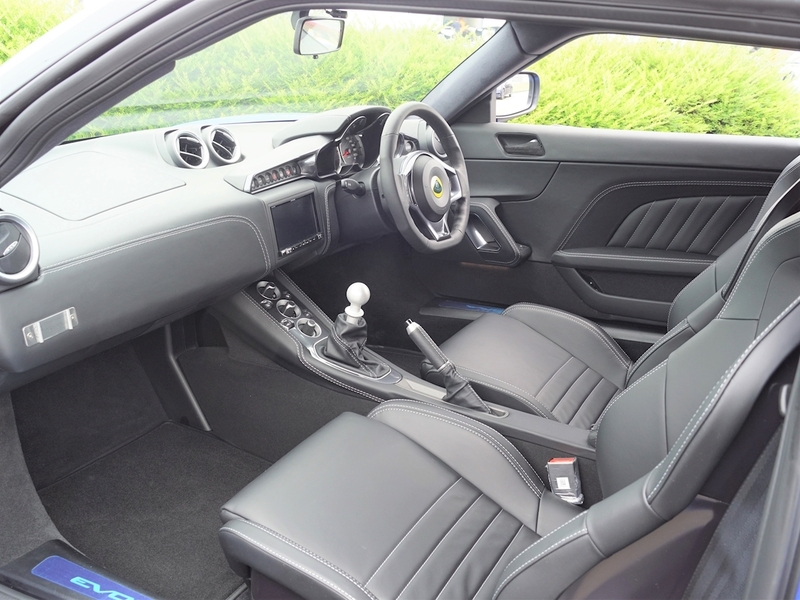 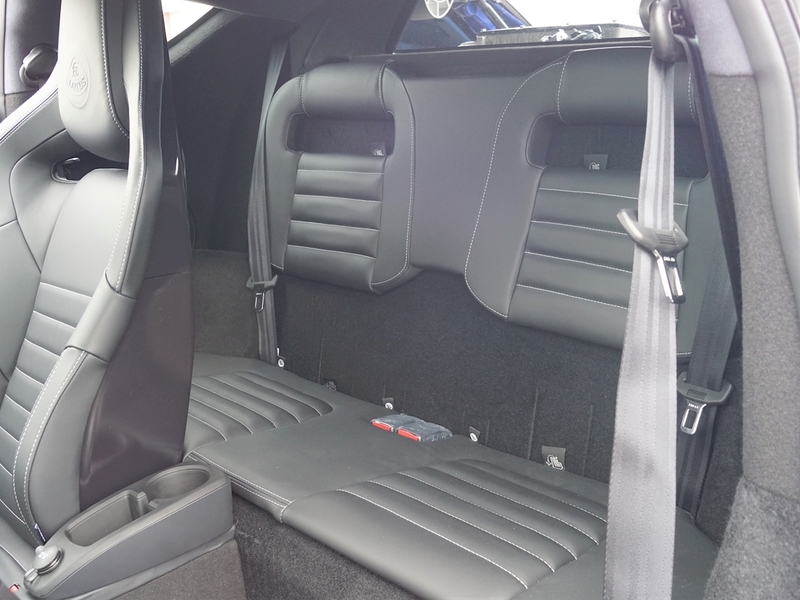 Plus - Premium Infotainement System with Satellite Navigation, Bluetooth, Telephone Connectivity, Reversing Camera and Reversing Sensors, Cruise Control, Subwoofer, Cup Holder and Gloss Black 10 Spoke Wheels.